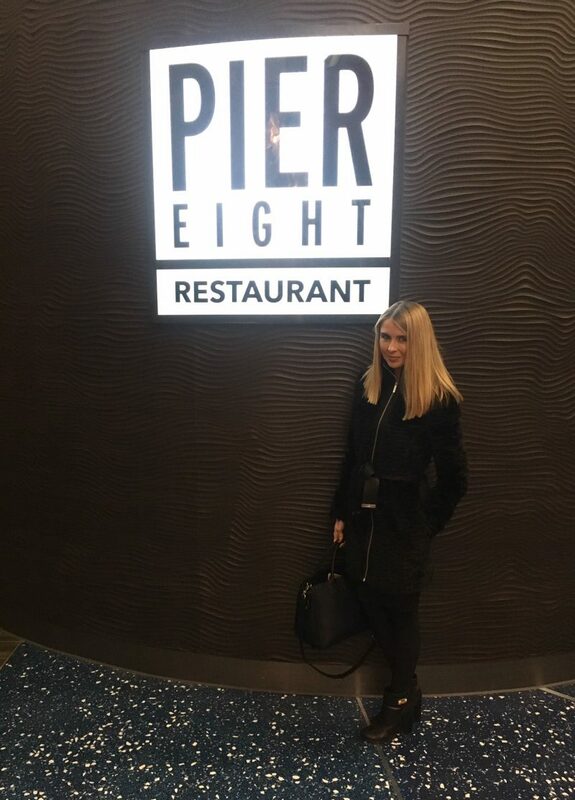 On Saturday evening, I had the pleasure of trying out one of Salford Quays dining establishments: Pier Eight at The Lowry. 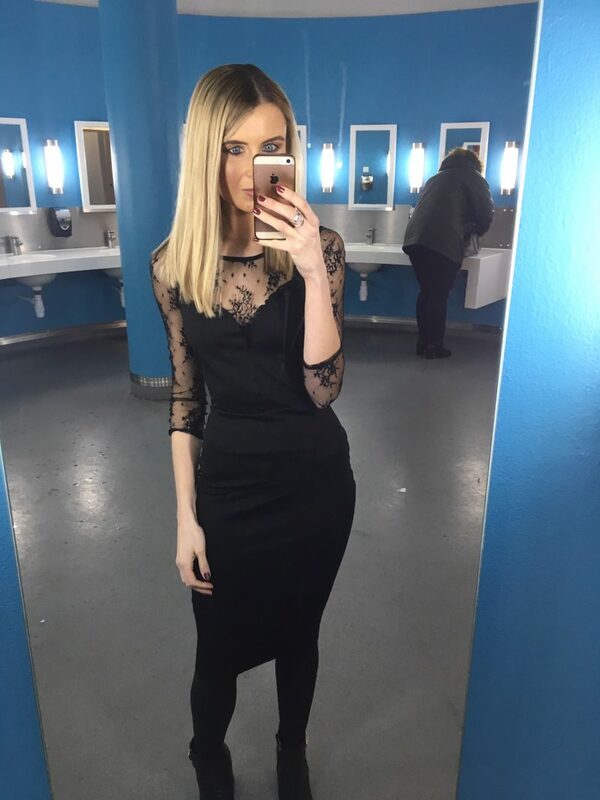 The Lowry is such a lovely theatre venue that I should make much more use of – I haven’t been back since I watched The Woman in Black last year, but it’s a place I love to visit so much. The Lowry host so many different themes of plays and shows throughout the year, with one of their most popular shows, Elf, on its way to finishing. I love watching shows and theatre performances, therefore booking in for a matinee or evening showing followed by a three course meal in a close by restaurant is possibly one of my ideal evenings. 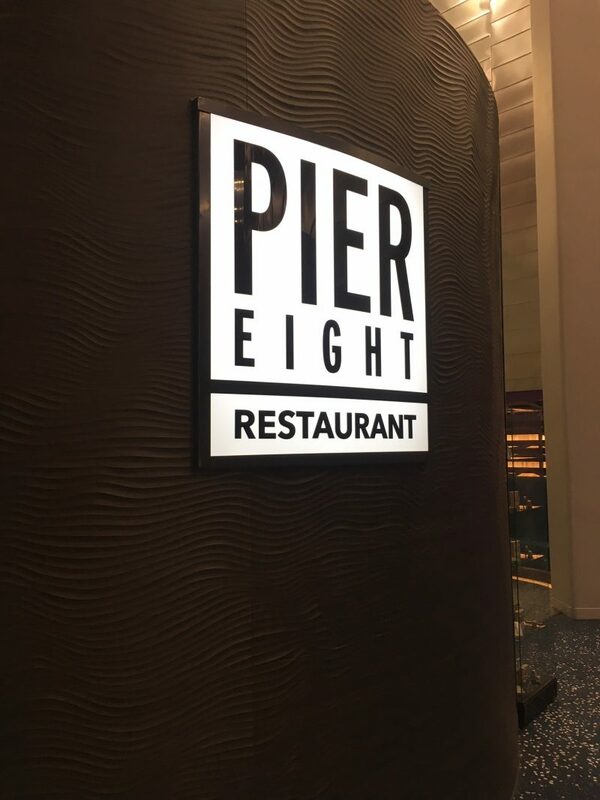 Pier Eight is set around the back of The Lowry on the ground floor, with its windows looking out onto the waterside, creating a relaxing setting for dining. 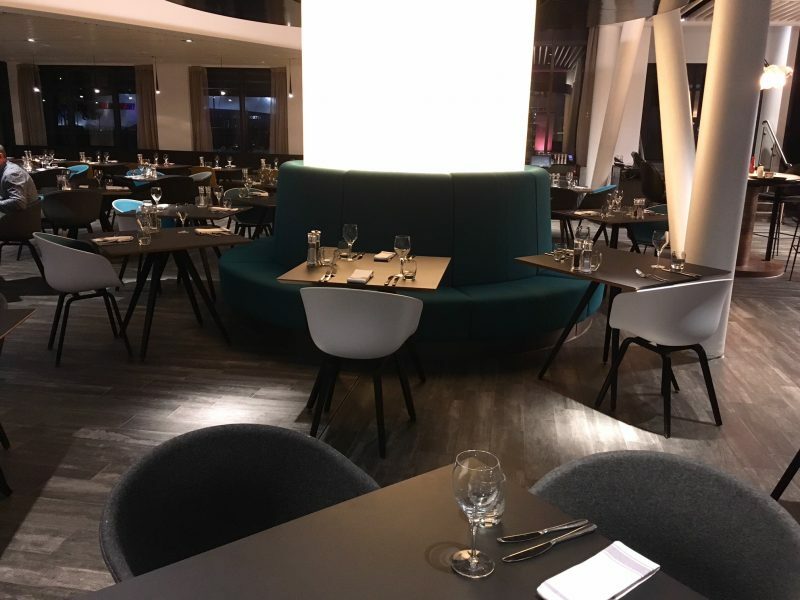 I booked in at 7.30pm, and as January is a fairly quiet month for eating out, it was a fairly peaceful restaurant for a Saturday evening. 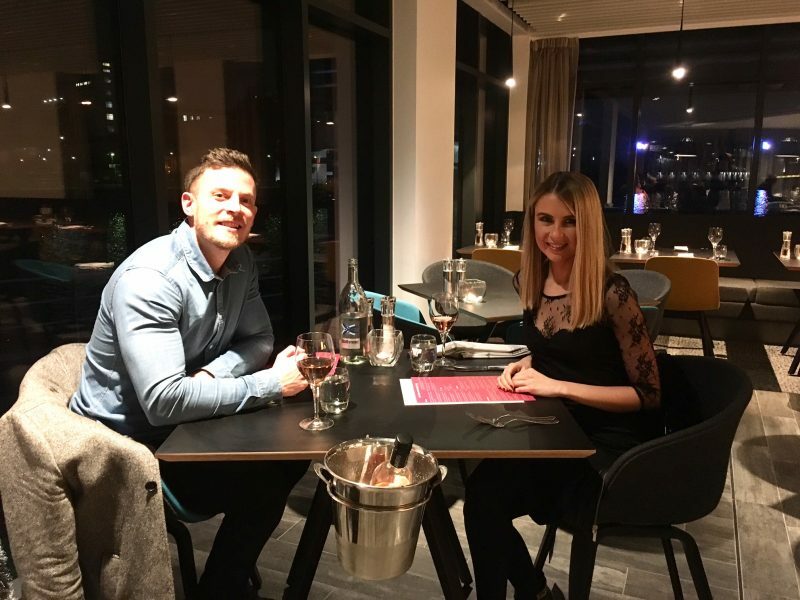 This meant we secured a nice little table overlooking the water, making it a scenic seating – always a bonus. 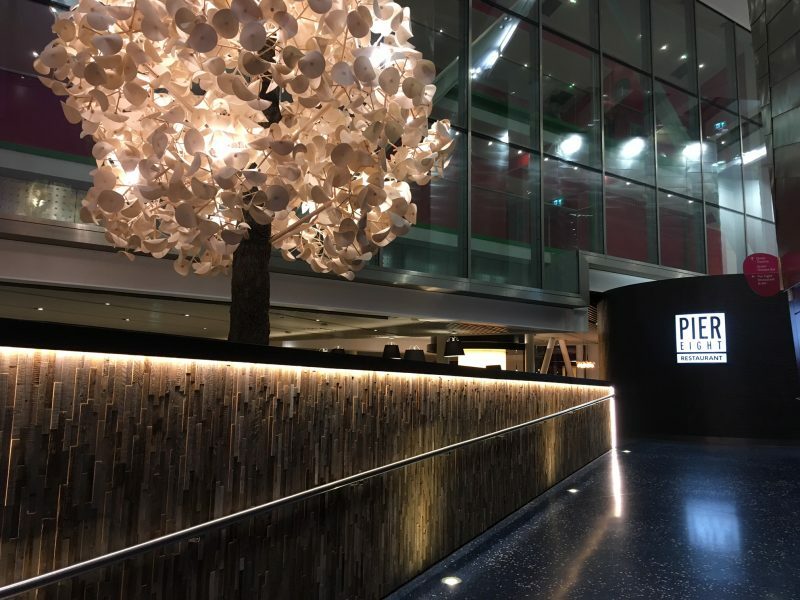 Pier Eight have created a modern, classic setting in their restaurant. 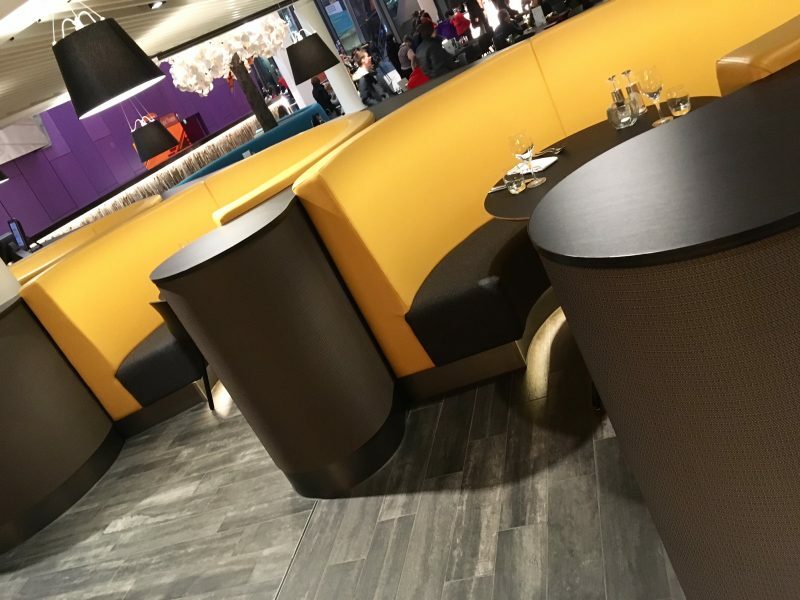 It’s quite minimalist, with striking light beams, dark wood, and then accents of bright yellow seating in little pod areas. 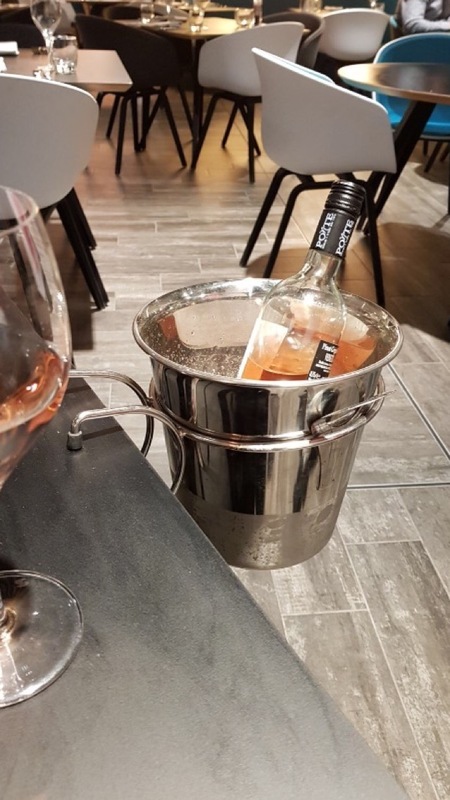 We were greeted by a real pleasant, friendly restaurant team, who talked me through the wine menu and helped me pick between an off-dry rose wine and a sweet rose, as I couldn’t decide which way to go! 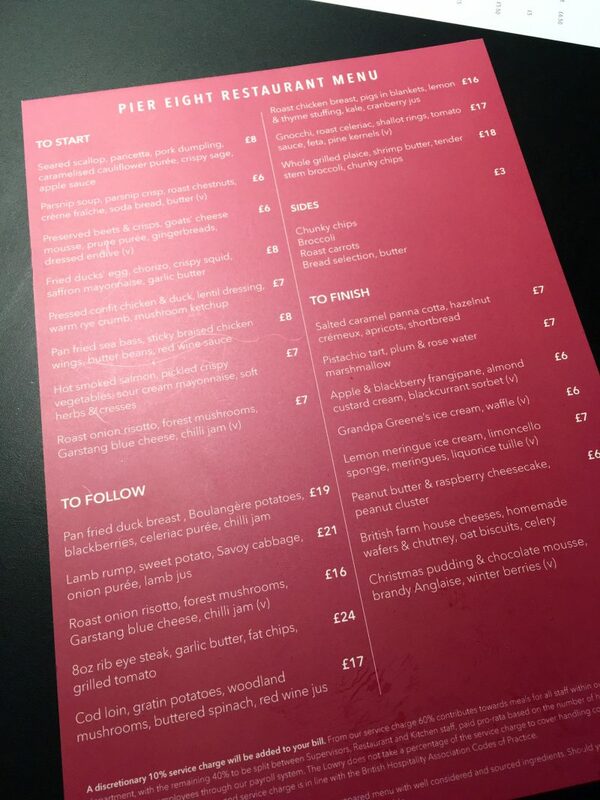 You always know when it’s a great menu when you find yourself with 3 options from each course, and you can’t decide which one to go for. 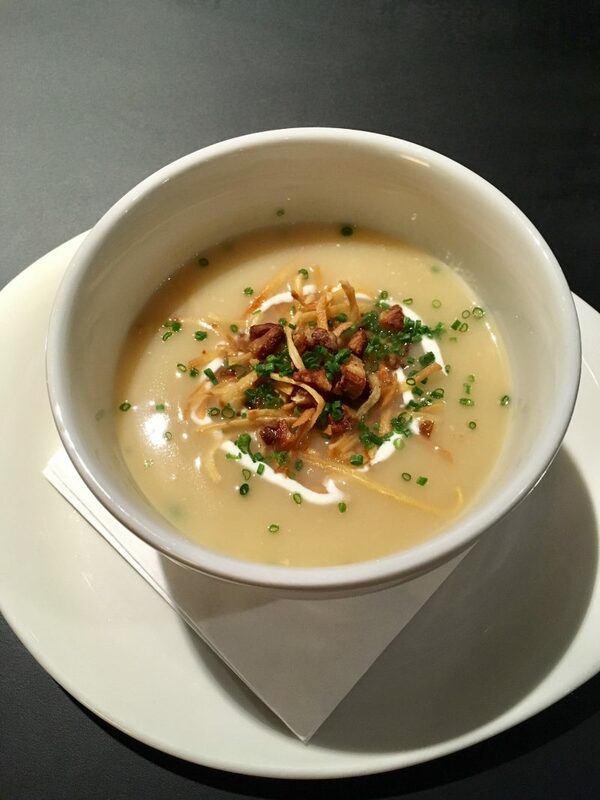 In terms of starters, I was tempted by the scallop, pancetta and pork dumpling, but then I also spied a parsnip soup with roast chestnuts on the menu – and I really need to be a little healthier this January! 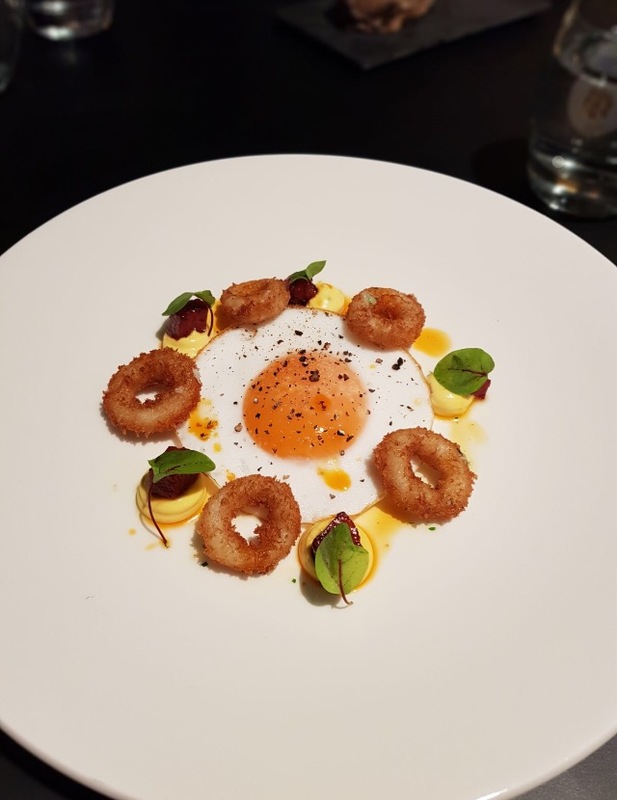 I opted for the soup, and my boyfriend went for the fried ducks egg with chorizo and crispy squid, which came over to him on a large plate presented all fancy – a little bit like #FlatLayGoals but for food! 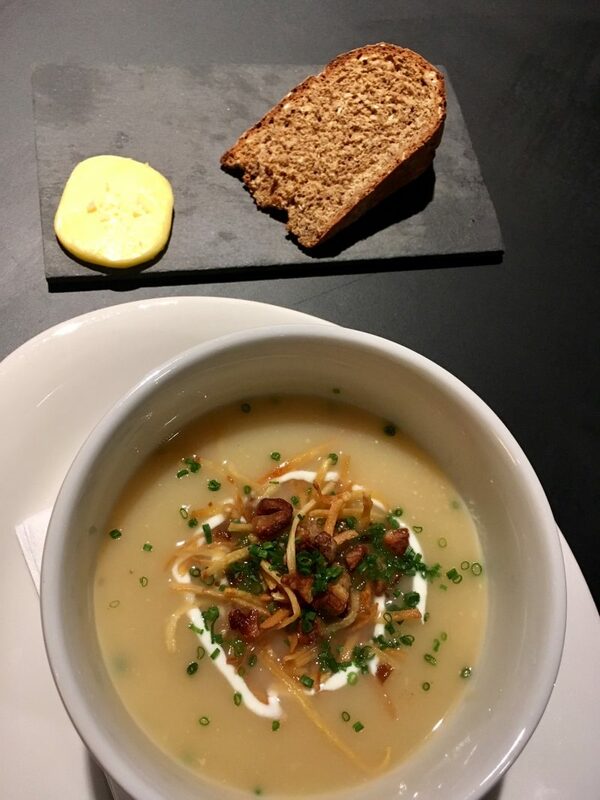 The soup was delicious – a real creamy parsnip with crispy bits of shredded parsnip to give it some texture, and a nice warm slice of soda bread. 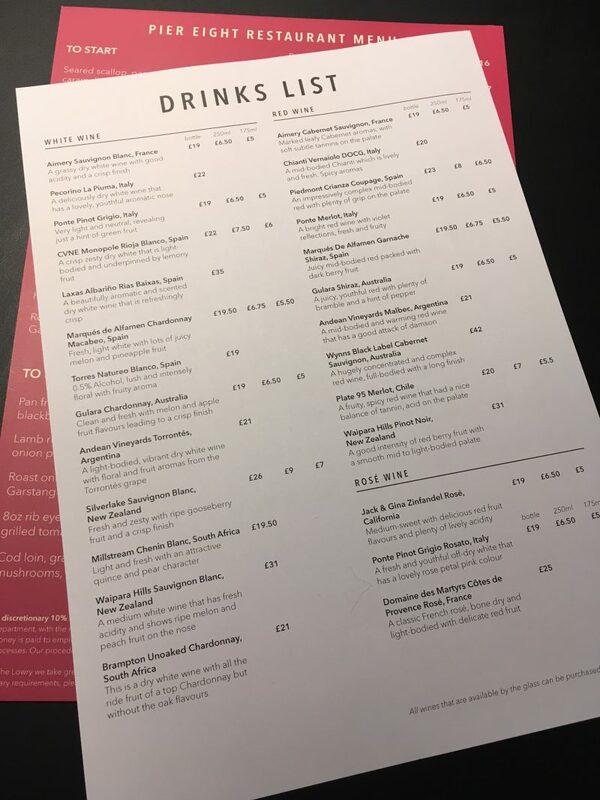 I toyed around with what to order for my main for a little too long, torn between the Duck Breast with Boulangerie Potatoes, Blackberries and a Chilli Jam (I know – mouth-watering, right?) and the Tomato and Feta Gnochhi with pine nuts, because I always love a good veggie option (even though I’m not vegetarian). However, I pushed both to the side and stuck to my healthy options, and opted for a whole grilled plaice, covered with shrimp butter. I learned from having fish at another restaurant not so long ago that when it says shrimp butter, it is actually a tasty butter sauce packed with tiny tiny shrimps, so you actually get a decent sized serving of mini shrimp too. And I love shrimp! 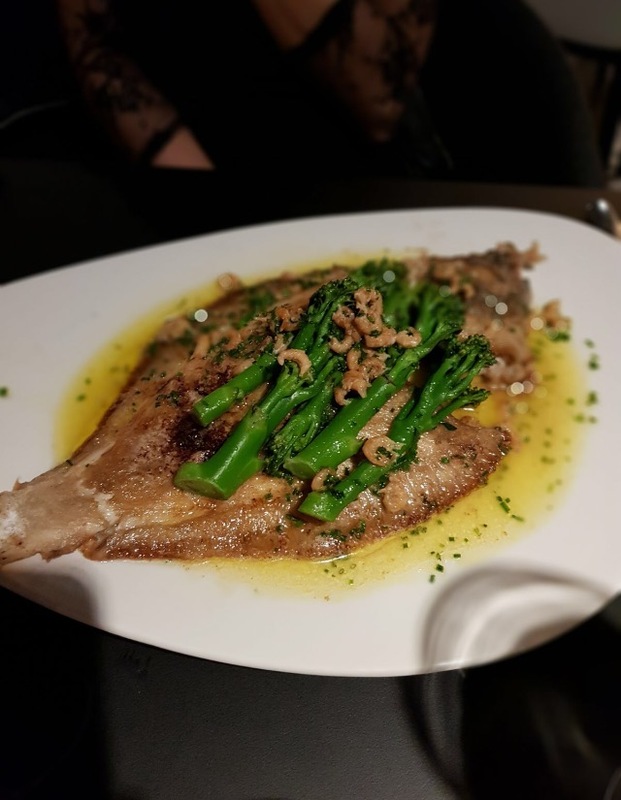 The plaice was huuuuge when it arrived, decorated with fresh broccoli and that divine shrimp butter topping. 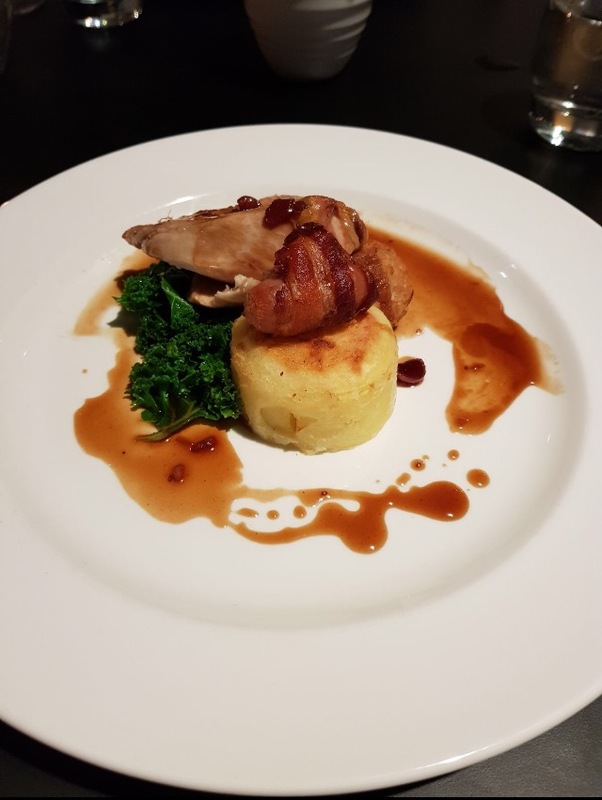 My boyfriend went for the Chicken option (he’ll always pick the chicken dish if there is one on the menu) which was a little bit festive still, as pigs in blankets were a side to the meat, along with lemon + thyme stuffing, kale and cranberry jus. Both portions were great sizes, and mine came with a serving of chunky chips too which we both shared. I definitely chose two great options for my starter and main, I thoroughly enjoyed both, and the Plaice literally tasted beautiful! 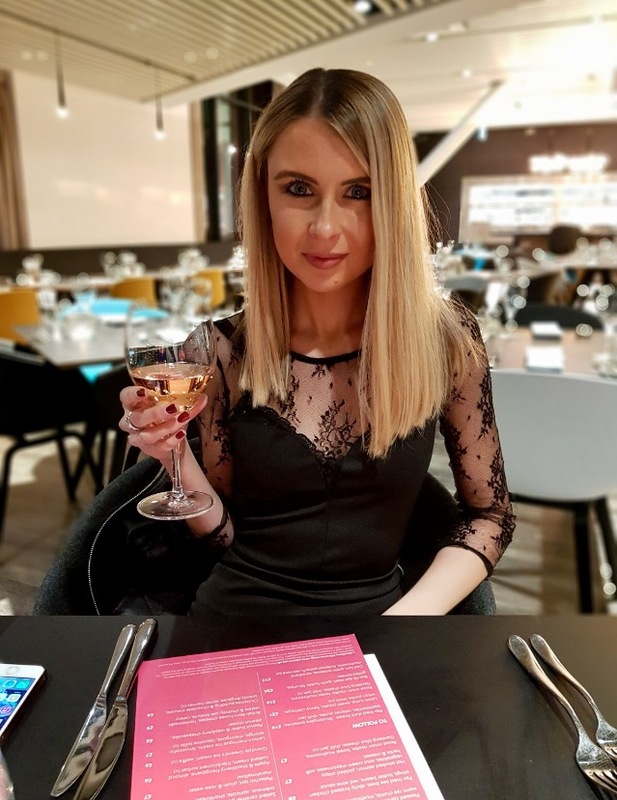 Of course, a meal isn’t complete without a dessert (and a review isn’t complete if I don’t throw in a mirror selfie wherever I go, hence the photo opportunity above! 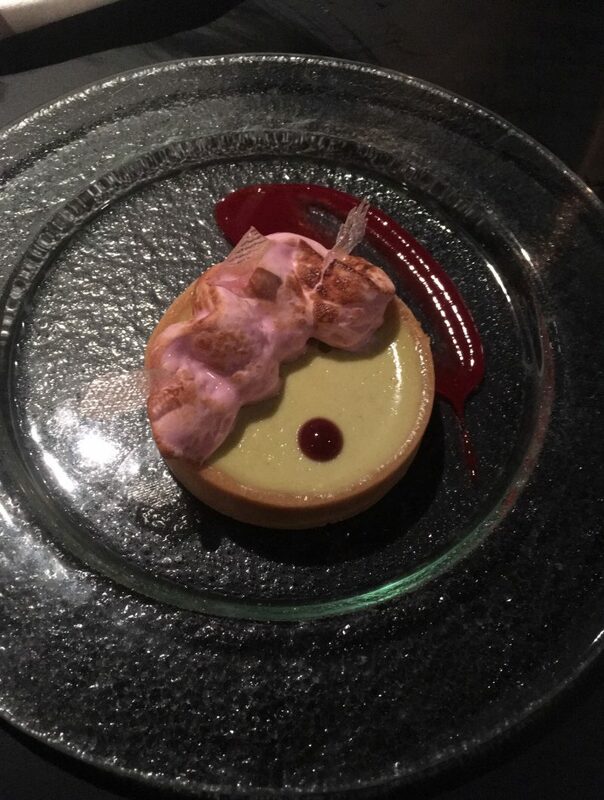 ), in which I chose something a little bit different: the pistachio tart with plum + rose water marshmallow. I’m not too sure how they flavour the marshmallow with rose, but it was literally the most rose-flavoured dessert I’d ever tasted. Intensely fragranced and sweet, so unique, yet so incredible! I love trying new sweets, and this one definitely something I can’t compare anything to. All in all, ambiance was fairly quiet and relaxed, with lovely scenic views of the water. Service couldn’t be faulted, and I was overly impressed with not only the menu choices, but the food that arrived too. 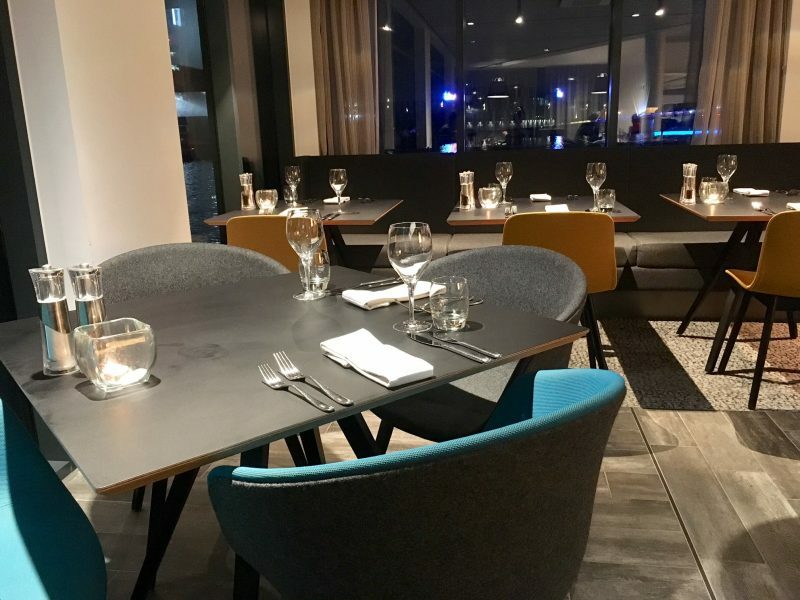 I’d hugely recommend booking in for a nice meal when in and around the quays, especially if booking a show at The Lowry.